Categories: Civil Rights, domestic repression and surveillance, Prison, Race, social movements. In 1967 Dr. Martin Luther King observed: “The bombs in Vietnam explode at home. The security we profess to seek in foreign ventures we will lose in our decaying cities.” His words resonated amidst widespread social protest against Cold War policies designed to contain communism in Vietnam, the criminalization of antiwar activity in cities, and consolidate US hegemony on a global scale. I argue that the blurring of boundaries between foreign and domestic in US imperial policing and prison policy has been justified in terms of revenge and reaction for defeats at home and abroad, and I trace how this revanchist rationale justified an increase in surveillance, incarceration, mass deportation, and the militarization of urban space. 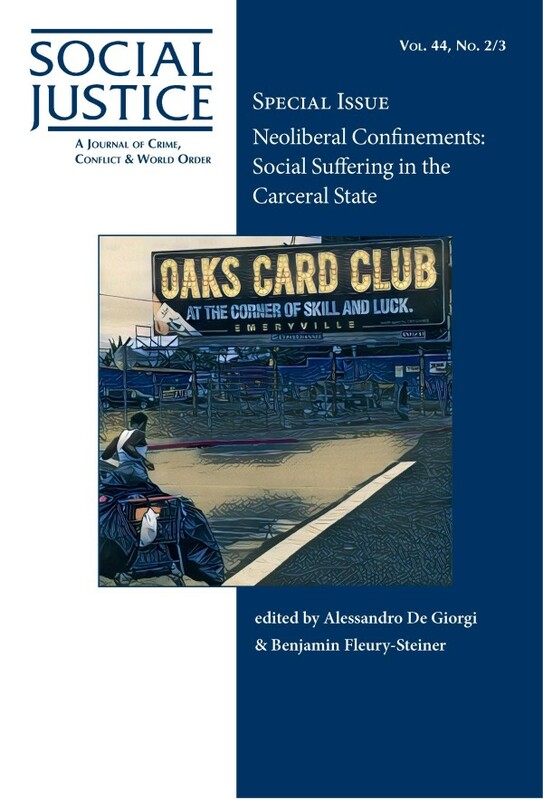 I conclude by suggesting that articulating opposition to these neoliberal confinements in terms of a social wage provides the basis for an alliance between antiwar, prison abolition, and social justice movements.